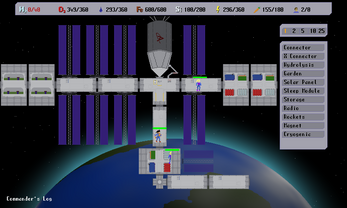 Assume the role of the commander of the Space Station Aeneas and take charge in its construction. 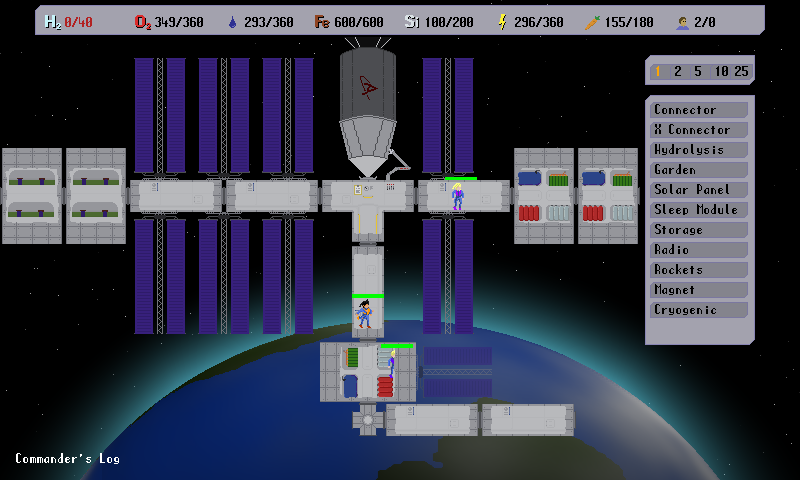 Build a self sufficient base in space and mine asteroids! Watch out for shortages of oxygen, food and water. 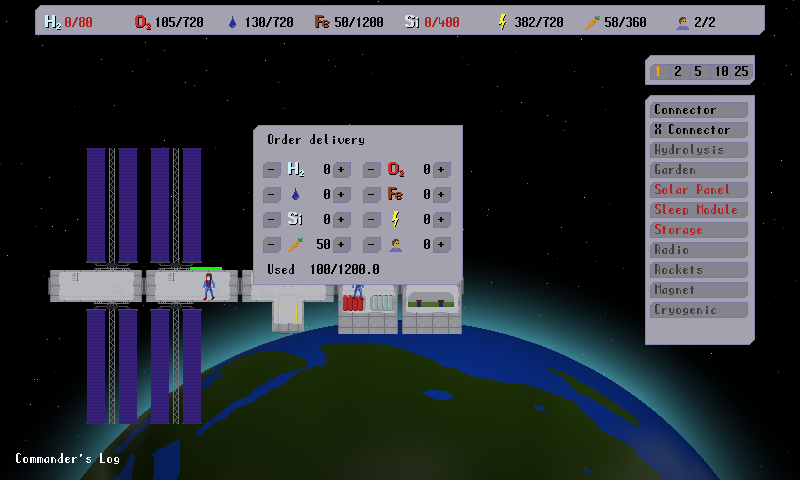 What happens if the deliveries from earth suddenly stop? 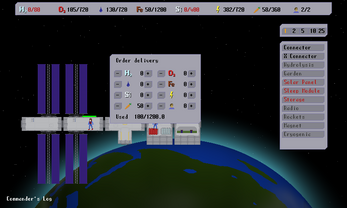 You can warp time with the menu in the top right corner. Hint: All effect values are calculated per day. One astronaut consumes 90 oxygen, 60 water and 36 food per day. Created for Ludum Dare 38, Theme "A small world"